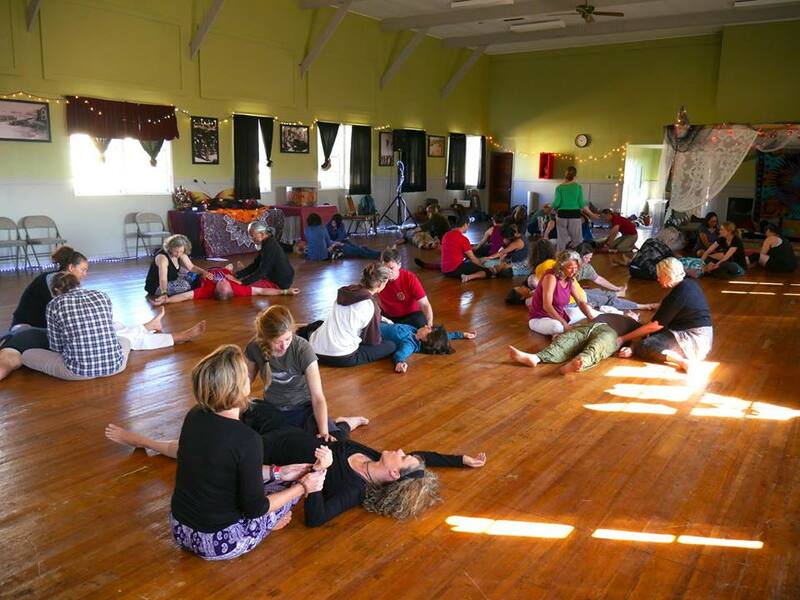 Imagine a 10-day camp where we practice Conscious Connection in every point of contact. Where we relax, open up and express our full-range selves. Where we check in with each other about our impact often. Where we practice asking for what we want. And where we trust that each individual is representing themselves honestly. Where “no” is an authentic expression of kindness and an investment in connection. And where “yes” is trustworthy and represents a genuine desire to connect. Imagine how fun and freeing it would be to dance, on and off the dance floor, in this place. THIS is what we are striving for at DCNW. In order to guide us in the direction of this vision, we offer the following eight practice guidelines. Please read carefully, discuss with others often and consult a camp organizer immediately if something feels “off” to you in regards to your experience of safety and consent at camp. Many dancers here enjoy dancing with themselves or with only a select few partners. Please check any assumptions that someone is interested in interactions with you on the dance floor. They may be! But they may also not be. If someone does not respond to your efforts to dance with them, or if they communicate a desire for space, please treat this as a “no” and continue with your own dance. We also have bracelets available for you to wear to signal non-verbally when you want to dance alone. Please be aware when someone is wearing a bracelet and respect their personal dance space. If you seek interaction with another dancer, make a small or subtle invitation and observe their response. For instance, allow your movement to match theirs in some way or make eye contact. Do not approach from behind because this does not give the other dancer the opportunity to consent. If their response appears to be mutually inviting, make another small step towards interaction. With each step, carefully observe non-verbal cues to assess in each moment whether or not the interaction is mutually consensual. This increases the likelihood that your presence will be welcome and that your dance together will be juicy because both partners are a yes! Please practice trusting in your internal communication network that signals to you, “Yes, I want this!” and “No, I don’t want this”. Tune into that voice and practice conveying it on the outside as often and as clearly as you can. We encourage you to avoid interactions you don’t want and to discontinue interactions that you are not enjoying. You never need to wait until the end of a song to end an interaction. Whenever you are clear inside, take action. We may be tempted to suppress our own needs in order to avoid offending or disappointing another person. Please consider that honestly expressing our personal preference is the best way to come into authentic relationship with others. It is in fact a kindness! Respect that each person can process whatever feelings they have about what is true for you without you having to change yourself to protect them from discomfort. See isn’t that a relief? If someone is not responding to your nonverbal “no”, please tell them what you want. For instance, say “I want to dance on my own now” or “I prefer less physical contact” or “I get dizzy if I spin too much. Please put me down”. Be as direct as you need to be to get your message across. If someone is not responding to your nonverbal invitations, please take that answer as a “no” and do not persist by asking them to give you a verbal “no” as well. If there is some confusion, please use the default assumption that they are a “no” to continuing. You may later, off the dance floor, ask if the person is open to talking about the interaction by saying, “Would you be open to talking with me about what happened earlier on the dance floor?” Then honor their yes or no in response. At DCNW we celebrate sensuality and sexuality as part of the dance of who we are. And we also want to be sensitive to those who feel uncomfortable observing overt sexual activity in public spaces. Thus, we ask that you choose non-public spaces for making out, eg. no make-outs on the dance floor or just outside of dance hall. "Making out" in this case refers to extended french kissing and/or direct hand to genital contact. We also hope that if you do make-out with anyone at camp that you will both practice conscientious consent and open communication as outlined in this document. We all come from different backgrounds and we may enjoy different types of dance and personal connection. Please do not assume a mutual interest in weight sharing, extended eye contact, close physical contact or any other space-sharing preference. Our innate personalities and our past experiences may leave us hungry for connection or wary of boundary violations. Or both! Only with conscious awareness can we arrive at whatever is mutually consensual. The practice of checking assumptions and drawing boundaries allows a doorway to find out what is true for each other. For example, “Are you open to cuddling?” “How do you feel about being lifted?” and “I don’t enjoy extended eye gazing while I am dancing”. Check and share often, and then we can trust that what remains is real! This document was written by Jessica Tartaro and Tim Hartnett in 2017 and approved for use at DCNW. In 2018 a committee was formed to integrate Consent Culture throughout camp through programming and training of all teachers and staff. Read more under under "Safer Braver Sexier".